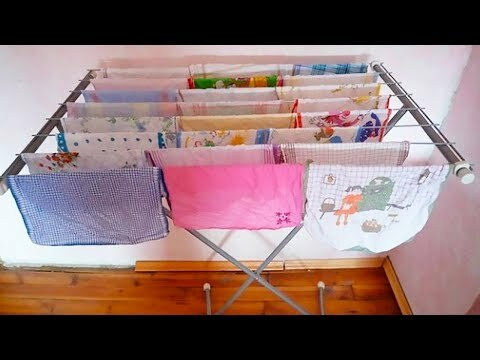 In this video, we will show you why drying your clothes inside isn’t a good idea. In fact, drying wet clothes inside could be detrimental for your health. There are several advantages to having your own garden or porch at home, and one of the best ones is the opportunity you have to hang your clothes out to dry. Nowadays, however, we don’t always have the extra room. So what do we do? We end up hanging our clothes up inside our houses, or even placing them on the heater to dry. If you do this, then this video is for you. Today we’re going to show you how this apparently harmless habit can have several health risks involved. In order to avoid complications, try to dry your clothes outdoors, and if that’s not an option, use a clothes drier and place it far away from the highly trafficked areas of your home. In addition try to keep your house well ventilated and climate controlled, in order to avoid fungus and dust mites. #GME | An experimental Ebola treatment has been deployed in the Democratic Republic of Congo.